We like the mini trend - a taste of premium features in a compact package. The HTC One mini faithfully recreates one of the best mobile phone designs ever and does it without shedding too many features. 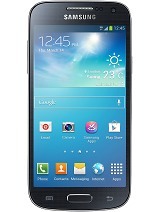 We quite like the screen - 1080p would have been overkill on a 4.3" screen, a waste of GPU and battery power. 720p is just right (it results in slightly above Retina display sharpness) and, more importantly, the quality of the panel is great too. The UltraPixel camera certainly has its fair share of fans and haters, sacrificing daylight detail for low-light performance. But it's good to see HTC didn't cut corners and gave the mini the same treatment as the One - it slapped on the ImageChip 2, which powers the image processing magic that goes on. We do miss the Optical Image Stabilization though, it really made the One camera stand out ahead of other Androids. When we saw the One mini specs we were somewhat disappointed by the chipset. We like the Snapdragon 400 with two Krait cores, it successfully tackles last year's quad-core Cortex-A9 chipsets, but most of the time it's clocked at 1.7GHz, not 1.4GHz. That's a 20% difference in clock speed compared to the Samsung Galaxy S4 mini. However, the One mini turned out to be a smooth performer and even if the loading times aren't always the best, it certainly doesn't feel underpowered. The 16GB of non-expandable storage is probably our biggest concern, but the base iPhone is usually a 16GB model and that's what the majority of people end up buying, so it won't be a deal breaker for many. 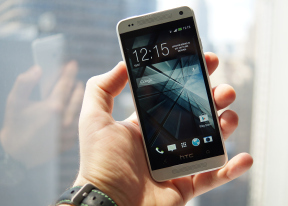 On the upside, the HTC One mini launches with Android 4.2.2 out of the box along with HTC unique touch to the user interface and has the BoomSound stereo speakers on the front. We guess the question then is how does it stack up against the Samsung Galaxy S4 mini? The aluminum unibody beats the plastic hands down in terms of premium feel and the screen scores high points for the One mini. Even the camera - even without OIS, the 4MP UltraPixel camera has a much easier time competing with the 8MP module in the S4 mini than it does against the 13MP shooter in the big Galaxy S4. The S4 mini does have LTE (market dependent), NFC and a faster chipset, plus expandable storage and IR blaster. Perhaps the biggest argument in favor of the Samsung is that it''s noticeably more compact despite the same screen size - 124.6 x 61.3 x 8.9 mm, 107g for the S4 mini vs. 132 x 63.2 x 9.3mm, 122g for the One mini. If we had to put things on a scale, we say the Galaxy S4 mini is closer to a mid-range phone - a very good mid-range phone, but still. The HTC One mini, however, did a better job of evoking the feel of a premium flagship even if it's not as much of a "mini" as its rival. There is only one lingering questions - how will the chipset age? 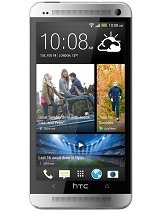 Will the next major Android update run fine on 1GB of RAM and for that matter will HTC even update the One mini? Last year's One S, the spiritual predecessor of the mini and with very similar specs most likely won't see Android 4.2 Jelly Bean, it would be a shame for the One mini to follow in its footsteps.